CellAntenna Corp. offers mobile phone signal boosters wireless repeaters and custom-engineered distributed antenna systems (DAS) to amplify reception in problem areas, from large buildings to homes, hotels, skyscrapers and complexes. Our equipment resolves the problem of dropped calls, limited range and slow data rates for mobile phones, tablets and aircards by strengthening weak cellular signals. We can improve your voice and data reception by up to 700 percent, and offer a 30-day money-back guarantee. CellAntenna technology captures weak cellular signals broadcast from mobile towers and transmits them to your device, then relays an amplified signal back to the tower. We offer 2G, 3G and 4G LTE data and voice solutions for all major carriers -- Verizon, AT&T, Sprint and T-Mobile. Our cellular repeaters, commonly called mobile phone signal boosters, work with a small antenna system. An external antenna picks up the signal, then transmits it to the repeater through a cable connection. The booster then relays the strengthened signal to an indoor antenna, which broadcasts it throughout your home, office or automobile. If you have a large building or complex, CellAntenna can engineer and install a distributed antenna system (DAS) that amplifies the signal throughout your entire property or in designated target areas. CellAntenna's home repeaters are available as easy to use plug-and-play kits, or you can custom-design your own signal amplification system for large or unique areas by choosing from our vast assortment of boosters, antennas and cellular accessories. If you require service in a spacious, multistory building -- or have a complicated floor plan -- our qualified sales associates are available to diagnose your needs and determine the solution that's right for you. 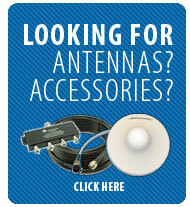 Give us a call at 1-877-285-5220 or email us at sales@cellantenna.com to solve your reception problem today! 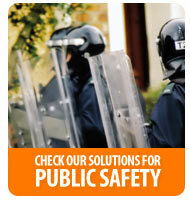 Poor Indoor Public Safety Radio Signal Levels Place First Responders and Public At Risk. Cellantenna Corporation Urges Local and State Governments to Pass Minimum Indoor Public Safety Signal Requirement Ordinances for Safety Reasons, Immediately. June 17, 2014, Plantation Florida: At a presentation today to the Fire Prevention Subcommittee of the Fire Chiefs Association of Broward County, Howard Melamed CEO of CellAntenna Corporation, emphasized the need for adequate radio signal coverage in buildings as many First Responder organizations shift to the new digital P25 communication from existing analog systems.Passing ordinances at the city and county levels to have building owners guarantee an adequate indoor public radio signal level is essential. Proper radio communication inside buildings in emergency situations saves lives.